Credit: Spitzhorn LS, et. al. Publication: Spitzhorn LS, Megges M, Wruck W, Rahman MS, Otte J, Degistirici Ö, Meisel R, Sorg RV, Oreffo ROC, Adjaye J. 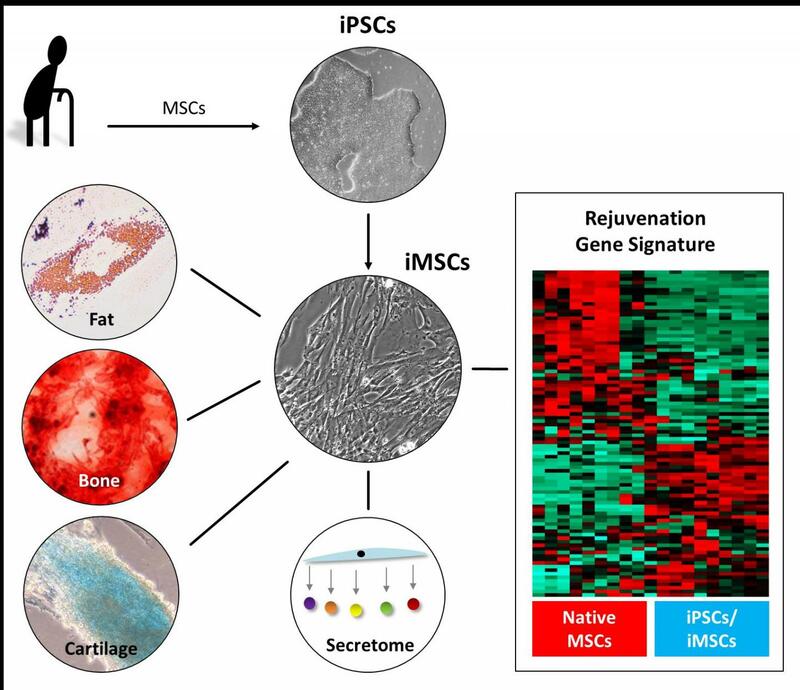 Human iPSC-derived MSCs (iMSCs) from aged individuals acquire a rejuvenation signature. Stem Cell Res Ther. 2019 Mar 18;10(1):100. doi: 10.1186/s13287-019-1209-x. PubMed PMID: 30885246.